(As well as capitulation to Islam news. No, Not anti-Islam here. Love Good Muslim people. However, it is common to criticize Jews and Christians, but report on real news about Islam and Muslims and you are called Islamaphobic. Does anyone every call someone who criticizes Christians Christianphobic? Nope. The left will argue that there is no war on Christmas. However, time and time again we see the left attempt to make Christianity more and more obscure in American culture. This page is dedicated to exposing the attempts to take Christ out of Christmas, and replacing Christmas as a holiday not about religion. The same ideology that wishes to paint Christians evil, or not important in our society are the same as those that wish to destroy Israel. The left is not a friend of either religion, but the left will go to extreme mesaures to defend Islam. This is the only page on this site that will be color coded. Green for War on Christmas, Blue for Anti-Christian articles not about Christmas, and black shall be fore the left supporting Islam. Any red will be reserved for this sites opinion. 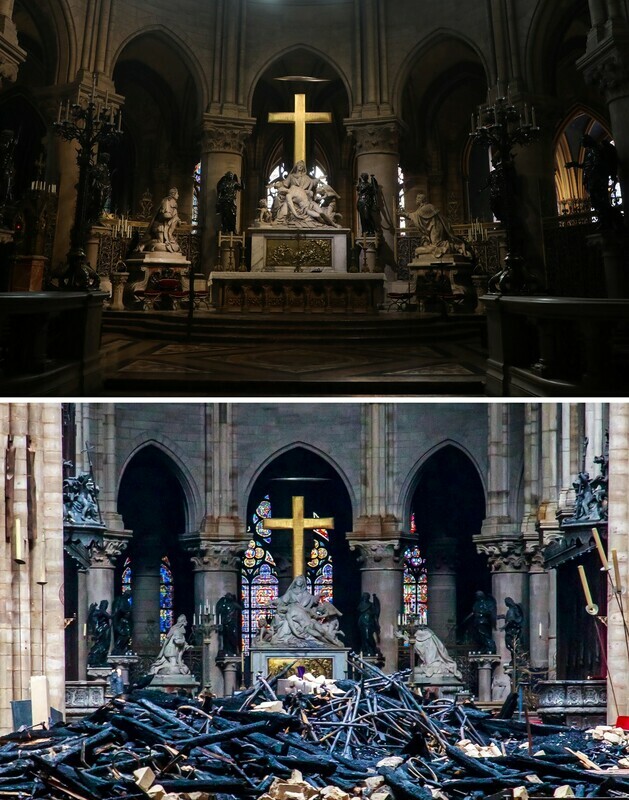 ​Not everyone thinks the burning of Notre Dame is a tragedy. Some are reveling. Why does the media completely ignore CHRISTIANS being murdered around the world? ​Christians Being Told, "Stop Saying Jesus Is The Son Of God. It Provokes Muslims." War On Christmas Archive: 323 Items and More to Come!